The Underground Metal Scene is home to an array of bands who have become somewhat of a household name to those who are familiar. 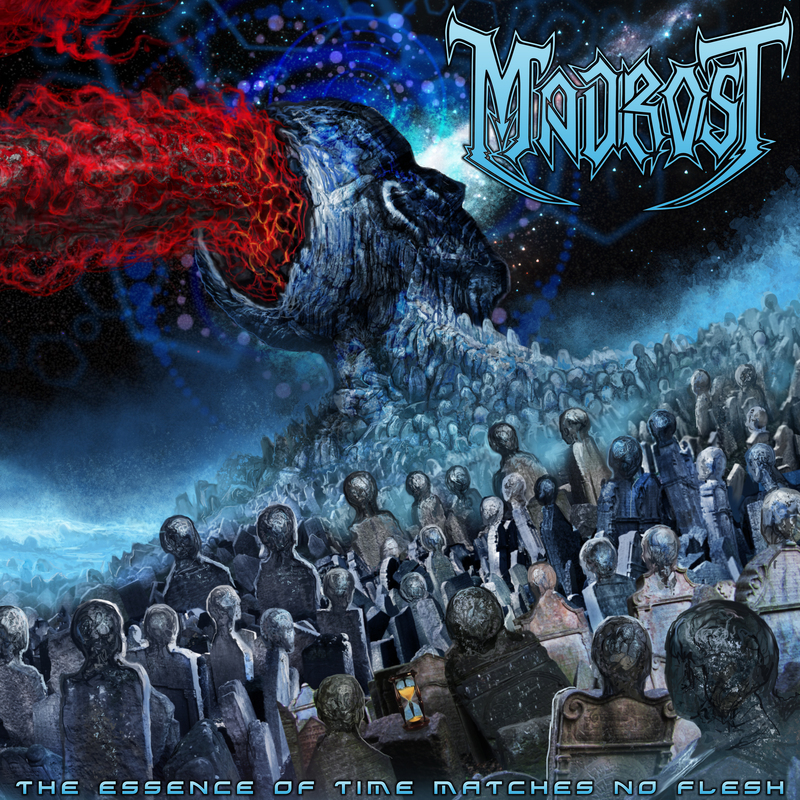 Southern California Metallers Madrost are set to release their new album The Essence of Time Matches No Flesh come June 27th and the hype that surrounds this epic gem surmounts from the very core of every minute of this amazing release. Madrost has come a long way and with two albums under their belt The Essence of Time Matches No Flesh serves as their best album to date. Not that their previous work was anything short of great this release shows a maturity within the band in all aspects. The guitar riffs are catchy (believe in these words they will get stuck in the listener’s mind), vocals are fuller, bass is prominent, and the drums will pound through the ears. 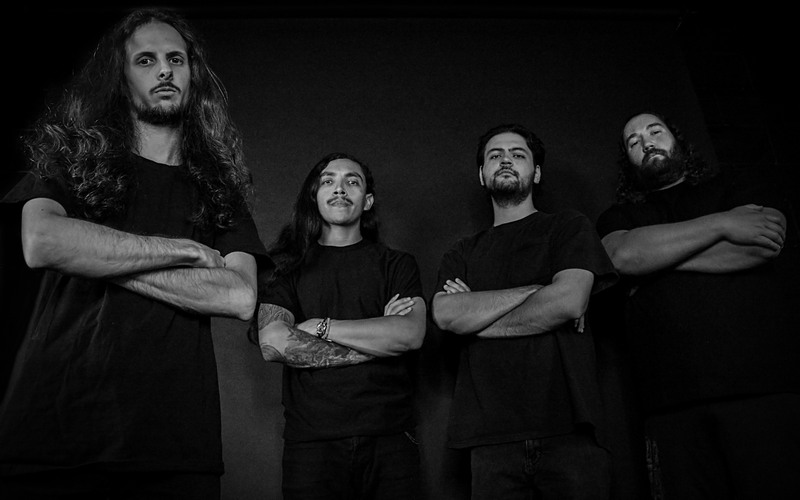 Eyes of the Deceit showcases bright clean guitars while not taking away from the brutality and The Silence in Ruins unleashes the bands classic thrash sound with the vocals harmonizing perfectly with the guitar melodies. From Sand to Dust is the perfect song for the pit, melding an almost prog like and old school Death Metal feel that will emanate into a full on head banging fest. Within the album there is a sense of struggle lyrically and one should go in with an open mind. The track Abstractions is a good example of this and the song is a mirror image of the message within. Touching back on the guitar work the talent shines throughout and there is a tasty solo during the track No Future but keep an ear out there is no shortage of musicanship here. Dimensions is a strong close to the album but the only downside is the length.. the listener is sure to be hungry for more once the final notes ring. Madrost is sure to stir up a lot of buzz with this album and be sure to preorder, and support the your local scene. The Essence of Time Matches No Flesh is a powerful slab of metal and may just be contender for album of the year.